PRIVATE PARTIES, CORPORATE EVENTS, CONTESTS, AND MORE! 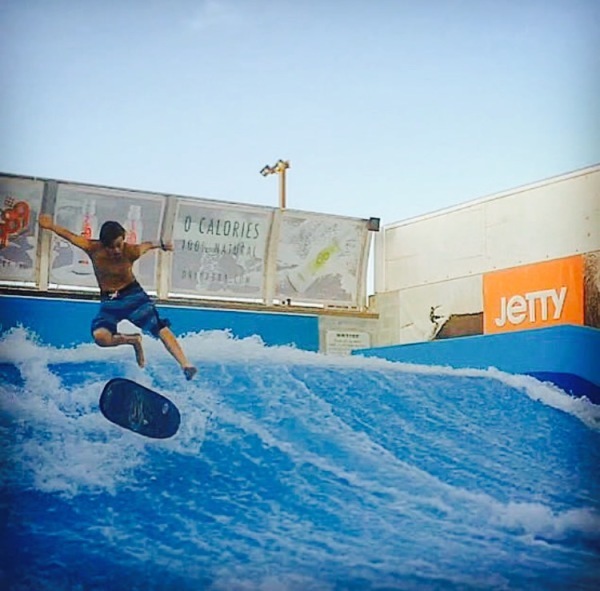 The FlowRider® provides a fun, safe platform where young and old alike can enjoy the thrill of riding a wave. During the day it is part of our water park for boogie board riding only. During the early morning and evening hours guests can come and experience flowboarding, one of the fastest growing board sports. NOTE: FLOWRIDER® MEMBERSHIPS ARE ONLY REQUIRED FOR FLOW BOARDING. THEY ARE NOT REQUIRED FOR BOOGIE BOARD RIDING DURING REGULAR HOURS OF PARK OPERATION. DAILY SPECIAL available every day but Wednesday. If you sign up and pay by noon for that evening's 7-8pm session it will only be $30 opposed to the regular $40 admission cost. The special is only applied to the 7-8pm session and can not be changed to a later session for any reason. *During the peak season private parties may be booked between the hours of 7-9am or 7pm - midnight. The entire Flow Rider and viewing decks will be closed to the general public. Bring your iPod to play your music on our house system. Food/drink accommodations can also be arranged if booked in advance. Email if interested in booking an event. Be sure to use "Private Party" or "Event" as the subject.